It’s a brand new year, and if you’re like many people, your resolution for 2019 is to boost your self-confidence. This leads most to hit the gym and start a new diet, and while these are both great for your overall health, you won’t really see results until months from now. 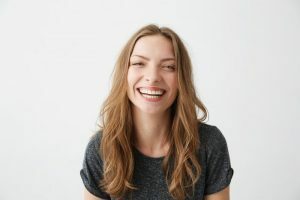 If you’re hoping to look and feel your best this year, cosmetic dentistry in Westport offers a quick and effective solution that will have you brimming with confidence both inside and out. What all can it do to take your smile to the next level? Read on to learn more. It’s really difficult to put yourself out there if you’re constantly worried about people noticing your stained, chipped, or crooked teeth. Things like going on a job interview, asking out a date, or striving for a promotion can all seem virtually impossible if you think others will instantly (and negatively) judge you because of your smile. Cosmetic dentistry can change that. Working with the right dentist in Westport, they can make any imperfection you can imagine virtually disappear behind a pristinely white set of teeth. Many patients feel an instant boost of self-esteem as soon as they see their renewed smile in the mirror, enabling them to forget whatever struggles they’ve had in the past and look forward to a bright and promising future. While there are many over-the-counter whitening products available, basically none of them are able to completely eliminate dental stains caused by coffee, wine, tea, tobacco, and aging. Your dentist, however, can provide you with much stronger products that are able to tackle even the most deeply set-in stains. They can dramatically whiten your smile in just one appointment in-office, or they can even enable you to whiten at home with your own custom-made kit! If you have any cavities or chipped/broken teeth, your dentist can completely repair them using a custom-made porcelain crown. Designed to look, feel, and function just like a natural tooth, this treatment can improve both your appearance and oral health at the same time. “How are their teeth SO perfect? !” If you’ve ever thought this while watching TV or a movie, you were likely looking at porcelain veneers. A longtime go-to treatment for Hollywood, this procedure can fix stains, chips, cracks, gaps, and more all at the same time. Thin ceramic shells are placed over the front of the teeth, and you can get just one or an entire set to transform your smile. Think you’re too old to straighten your teeth? Don’t want to deal with metal braces? With Invisalign in Westport, a patient just has to wear a series of clear, lightweight aligners that slowly move the teeth into their perfect positions. They are so subtle-looking that no one will notice you’re wearing them, and you can even take them off whenever it’s time to eat or brush your teeth. With enough self-confidence, a person can accomplish just about anything, and if you’re looking to increase yours to new heights this year, a cosmetic dentist can help you do it faster than anyone else. To learn more about your options and which treatments might be best for you, contact a cosmetic dentist in your area today. Dr. Masha Kogan is a general, restorative, and cosmetic dentist who has been practicing for over 20 years. Creating truly beautiful smiles is a big part of her mission here at The Dental Center of Westport, which is why she offers a wide selection of aesthetically-focused treatments. If you’re ready to get the kind of smile you’ve always wanted, she’s ready to give it to you, and you can get started by contacting her through her website.